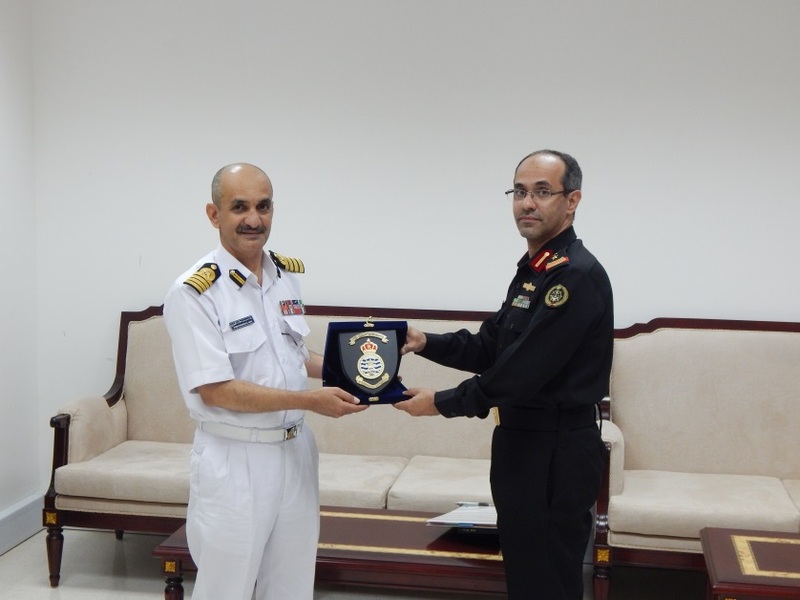 Captain Suliman Al-Enazi from the Royal Saudi Naval Forces, in his current role as the Commander of Combined Task Force 152 (CTF-152), met with Captain Shames Al Husby, the Director of Operations for the Royal Omani Navy, in Muscat recently. The visit was aimed at furthering the already strong relationship between the Royal Navy of Oman and the 30-nation Combined Maritime Forces (CMF) organisation through increased opportunities for Omani cooperation with CMF in The Gulf and wider Middle East region. Among the specific discussion points were the potential for Omani ships to take part in exercises with CTF-152, including the upcoming Exercise Falcon Defender, which gives navies a chance to practice the skills necessary to protect a high value unit from attack, and more coordinated operations in the Southern Gulf. This important visit continues a series of engagements throughout the region which has seen the Commander of CTF-152 working to strengthen regional partnerships and improve interoperability between CMF ships and Gulf-based navies and coast guards.